If you’ve done a great job instilling in your sports kids a sense of right and wrong, they may have problems with a coach who appears to pick favorites. 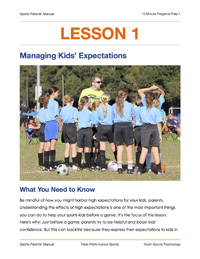 “Often, kids and parents alike will have perceived fairness issues, which can really take a toll on the kids’ confidence level,” says Mark Lawton, a teacher and longtime coach who has led numerous teams to the championship level. Kids raise fairness issues about starting, playing time, and smaller things such as who they might sub in for or what position they might play, Lawton told us in a recent podcast interview. These fairness issues can distract your sports children from the goal of the day: Playing sports! Being distracted will undermine their focus, cause them to make mistakes, and hurt their confidence. Sometimes a parent can become miffed about another child starting instead of their child, and this can throw a sports kid’s confidence off, he says. “You really need to control their expectations,” says Lawton. “Communicate to the kids and parents in advance. Tell them who is starting and when, tell them how much playing time everyone is getting, and be clear about what the kids can do to increase the importance of their role on the team. Coaches should only promise kids what they can give them,” he says. Controlling expectations allows you to get ahead of any perceived fairness issues before they negatively affect your kids’ confidence, he says. If you’re a parent who sees fairness problems on a team, be sure to talk to the coach. 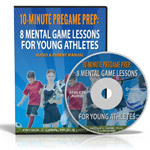 Ask the coach to be clear about his or her plans regarding starting, playing time and other issues.